For additional pictures, check out our Facebook album of Wyebrook Farm. It was a fun day trip out to Chester County for two awesome burgers and a day at the farm. Their cafe is closed for the season but keep it in mind for next spring or fall. 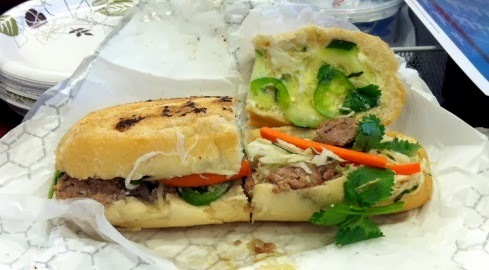 Big fan of the Turkey Meatball Bahm Mi from the Just Jackie's food truck this week. Could have used a few more honey ginger meatballs but the garlic, lemon herb mayo on top was a great combo with picked carrots, jalapenos, cabbage, cucumber and cilantro. 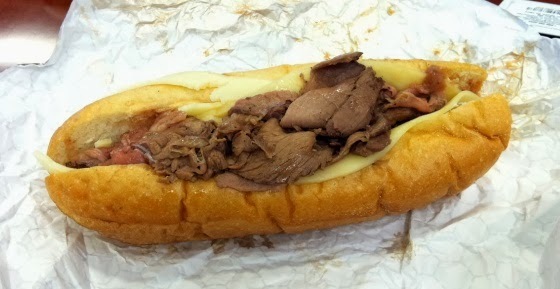 Many food truck sandwiches end up being delicious gut bombs, but this was a lighter (and still delicious) alternative. Mobile food doesn't just come off a truck or cart. Food delivery services popping up left and right now, from Fresh Direct groceries to Blue Apron meals. Real Food Works is one of Philly's hottest startups and playing right into this trend with delivered meals created by local chefs with whole-food ingredients, naturally rich in nutrients and low in calories. It's not all vegetarian or vegan, but there's nothing processed or artificial or bad for you. 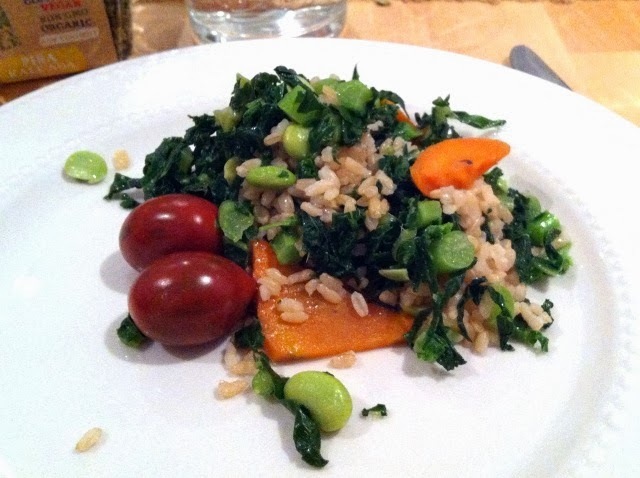 I went to one of their Wednesday farm table lunches at headquarters and enjoyed this lovely kale salad. It was a fun way to eat something different/better for me, while chatting with new people about all things food. Check out openings for upcoming Wednesday lunches. 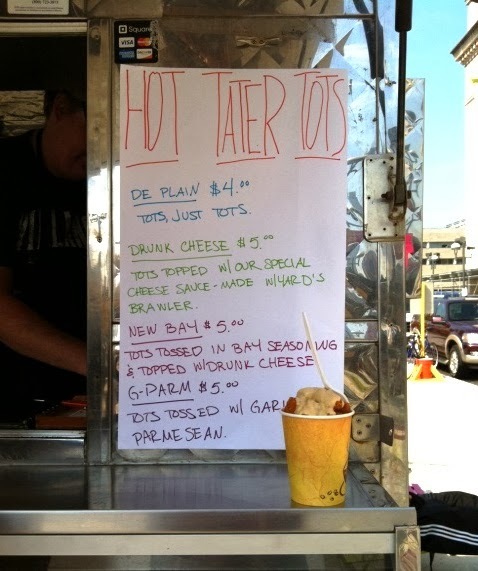 Who doesn't love tots and what better food cart idea than the Tot Cart?? All tots, all the time. This is the menu from an October Friday at The Porch at 30th Street. The thing I most want to stress is the size of that cup. It was a very hearty portion of tots (this photo shows the New Bay tots) for only $5. A lot of trucks sell tots in smaller sizes and they get mushy quickly. These stayed hot and crispy and filled me up for lunch. What was your favorite mobile meal this Fall?? I'm kind of dying at the first & last pictures. Your blog always makes me so hungry!